The two most revolutionary phenomena of the 21st Century are (i) Globalization and (ii) Information Explosion, enabled by advances in computing and information technology. Globalization has essentially ushered in an era of social, economic and technological cooperation across the countries of the world. The 21st Century has been the century of rapid technological advances and the emerging world order is that of sharing and multilateralism. The growth of information highways world over have lead to the sharing of knowledge and technology on the world platform, resulting in accelerated techno-economic advancement of countries. Knowledge has therefore come to acquire the central position as a resource for creation of wealth, and the chief driving force of economies world over. As such, it can both be an opportunity or a challenge for countries, depending on how well they are equipped to work with it. Countries in the globalizing world must possess the capacity to create, to process and to utilize knowledge in numerous beneficial ways for the betterment of their economies and societies. Such capacity is built on the foundations of human capital of the country. Modern societies are turning into Knowledge Societies where creation and use of knowledge underline the achievements in almost every field. Knowledge societies use knowledge as the key input in the creation of economic wealth. Developing countries, having less developed education systems, have great challenges ahead of them in this regard. “For everyone of our people to benefit from new employment opportunities being created across the economy, we must ensure that every Indian is educated and skilled”. – Dr. Manmohan Singh. Countries all over the world are assiduously working on strategies for developing their human resource, the main instrument of working with knowledge. Higher education systems, being the apparatus for creating skilled manpower, have also gained prominence in the 21st Century. Higher education relates not only to supporting knowledge-based production through research and innovation, but also to fulfilling the need for skilled workers across a wide variety of occupations in an economy. Knowledge driven production of goods and services increases the demand for a more educated and skilled manpower. Further, it plays an important role in influencing the competitiveness of a country by way of promoting research and Innovation. In the developed countries the emphasis is on maintaining an edge in innovation and knowledge creation so as to maintain competitive superiority. They invest heavily in research and development in the private as well as the public sector. It is noteworthy that even a country such as the USA, to maintain its leading position in science and technology, is investing substantially in science education at all levels, and encouraging its younger generation to opt for careers in science. Its education system is considered to be one of the finest in the world, yet it set up a commission in 2005 with the mandate to examine the future of higher education and to ensure the country’s leading position in this field. Britain has, in the recent past, employed innovative ways of funding to bail out its higher education system from a financial crisis. These countries, with their wealth of resources, would continue to attract the best talent from all over the world to their universities and industry to maintain their competitive edge. Countries such as China have made substantial increase in their allocation of resources for higher education. It has been aggressively working on a series of measures for rapidly expanding its capacity and enrollments, and to nurture excellence in higher education. It is upgrading its higher education to international levels. Australia’s reform measures, initiated in 2003, included areas as diverse as teaching, work place productivity, governance, student financing, research, cross sectional collaboration and quality. Globalization has also given a boost to international mobility in the field of higher education. Students spend a considerable sum of money in overseas education. By the year 2006 they were contributing $ 13 billion to the US economy and $ 5 billion to that of the UK every year. India’s spending on overseas education was approximately $ 3 billion during 2006. India accounts for 4% of the world’s overseas students and is the second largest exporter of students after China, which accounts for 10%. India has one of the largest systems of higher education in the world, offering the facility of education and training in almost all aspects of human creativity and intellect. It has grown from a small size of 30 Universities and 695 colleges in 1950-51 to a humungous 700 Universities and 35000 colleges in 2012 -13. Yet, the country’s efforts to realign its higher education system to fulfill the knowledge and skill needs of the country have not produced desirable outcomes. In the face of the growing demand for higher education within the country and abroad and the need to have manpower for sustainable economic development, urgent steps need to be taken hasten the higher education reforms process so that actual outcomes are aligned with the expectations. “At the bottom of the knowledge pyramid the challenge is one of improving access to primary education. At the top of the pyramid there is need to make our institutions of higher education and research world class….. The time has come for India to embark on a second wave of nation building….. Denied this investment, the youth will become a social and economic liability.” -Dr. Manmohan Singh. Thus, India has an onerous task at hand to re-align its higher education to ensure sustainable growth of its economy, to bring about social equity and to attain a position of leadership in the emerging global scenario. Joshi, Chandravati & Pant, Nimmi. (Nov. 2011). “ Effect of Globalization on Education and Culture”, Quest, Vol.5, Issue2, Nov.2011, PP280-83. Priminister’s address to the nation on Independence Day 2007. Agarwal, Pawan. Indian Higher Education, Envisioning The Future (Introduction To The Book); http//www.highereducation.org/introductionhtml#_recent. accessed 15/2/2014. Twelfth Five Year Plan ( 2012-2017), Social Sectors. (2013). Vol. 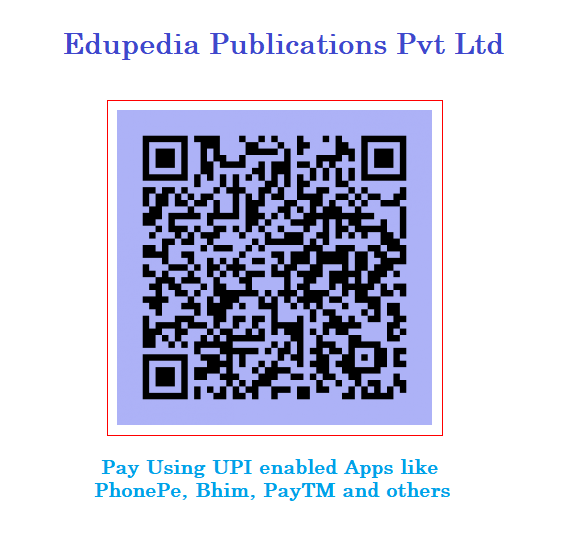 III; Sage Publications India Pvt. Ltd., New Delhi. ‘Enhance gross enrollment ratio in higher education”, The Hindu, 5/11/2013. www.thehindu.com/news/national/tamil-nadu/increase-enrollment-ratio-of-students-in-higher education/article 5717. accessed 4/4/2014. Dharasker Rajiv. (2014). 113 "Difficulties in Developing World Class Universities". Shroff Publications & Distributors Pvt. Ltd., ISBN 14:978-93-5110-470-4,Navi Mumbai. ICRIER & CII .(2006). “Towards Excellence: Higher Education in India”. MHRD (GoI) & CII. (2013). "Annual Status of Higher Education of States and UTs".